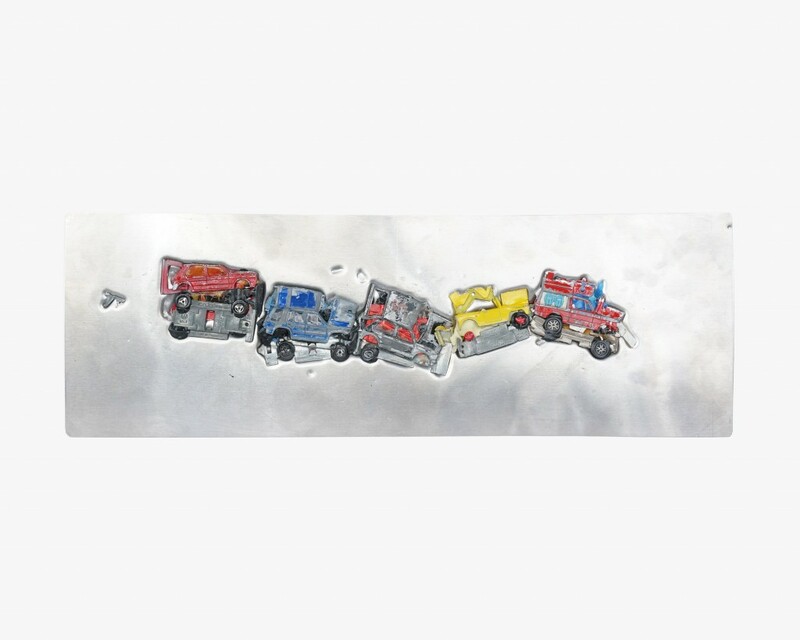 A toy car chain crash. 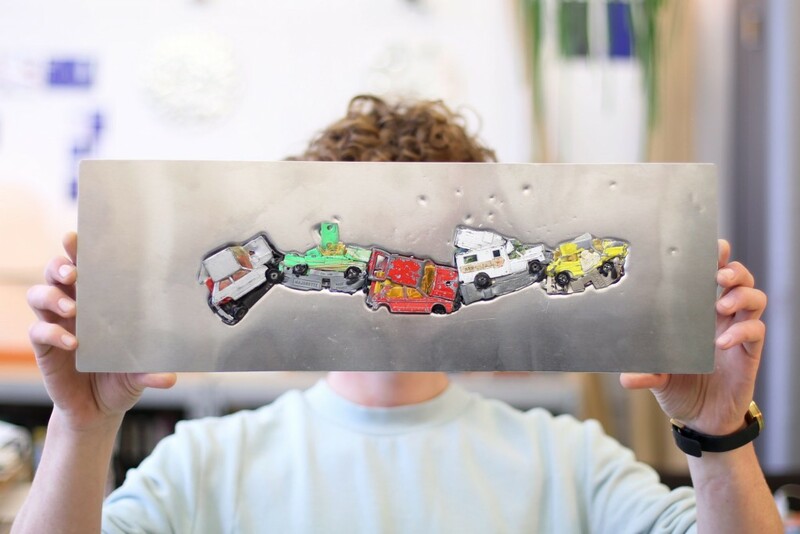 Several cars who bump into each other, captured in a sheet metal plate. 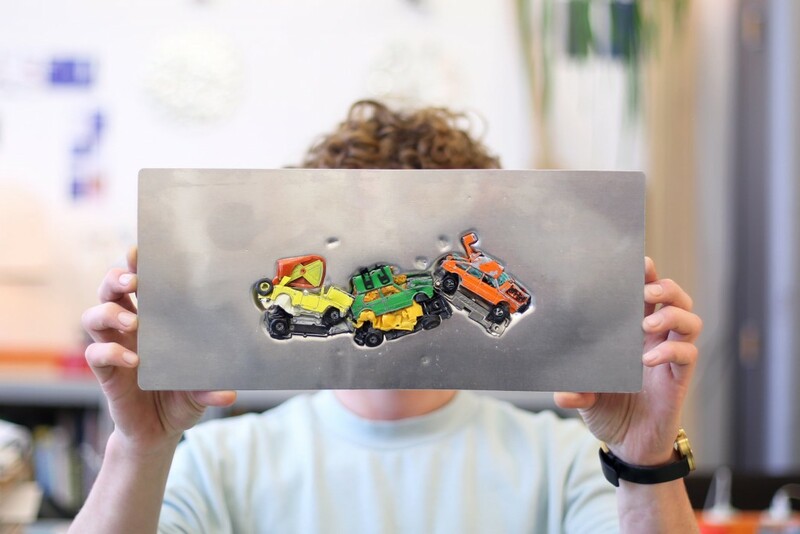 In collaboration with a sheet metal manufacturer, Job developed a production process allowing him to press almost everything – from toy cars to delicate textures – into metal sheets. 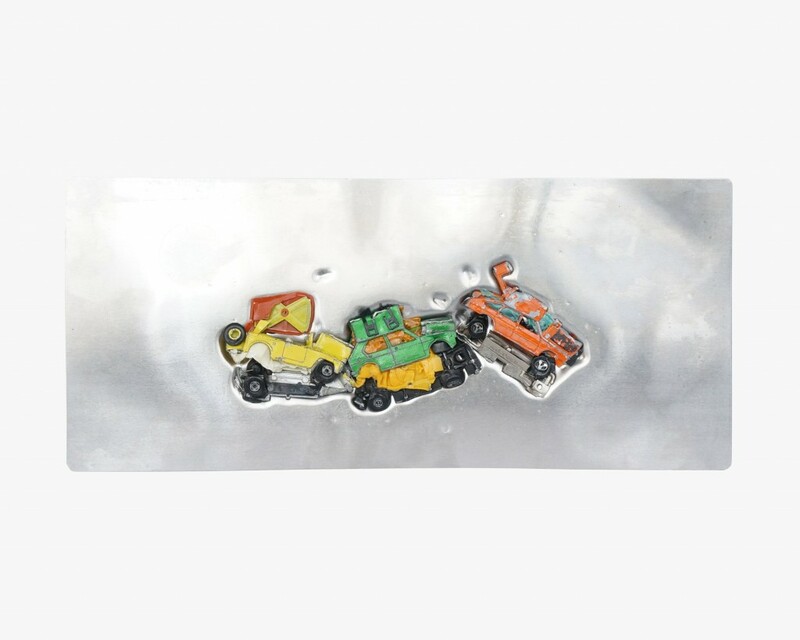 The Chain Crash is made by forging toy cars and sheet metal together under high pressure. The different cars in combination with the unpredictableness of the crash makes every art piece unique.